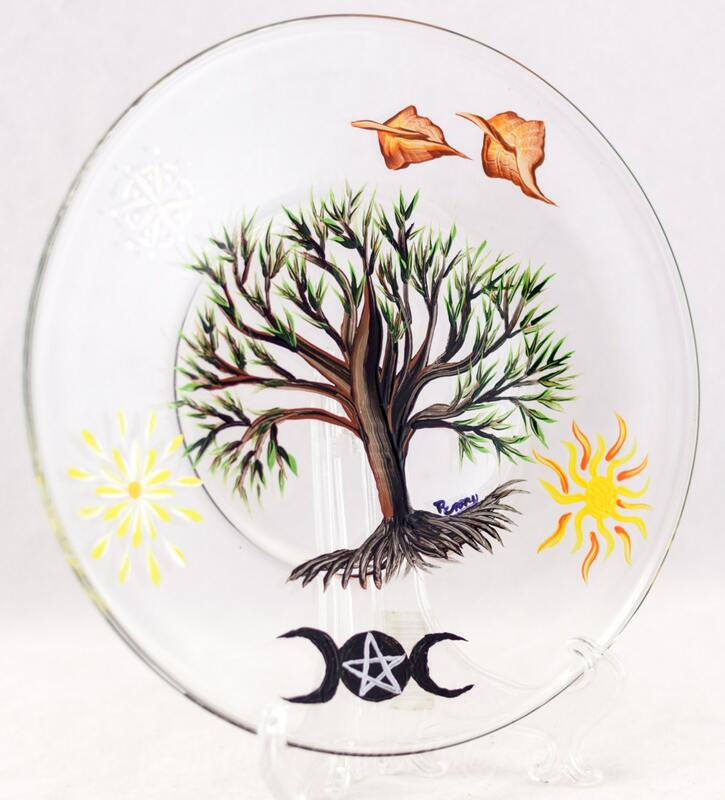 Four Seasons - Winter Solstice, Autumn Equinox, Summer Solstice and Spring Equinox emblems and the Goddess Symbol surrounding the Tree of Life are depicted on this decorative plate. 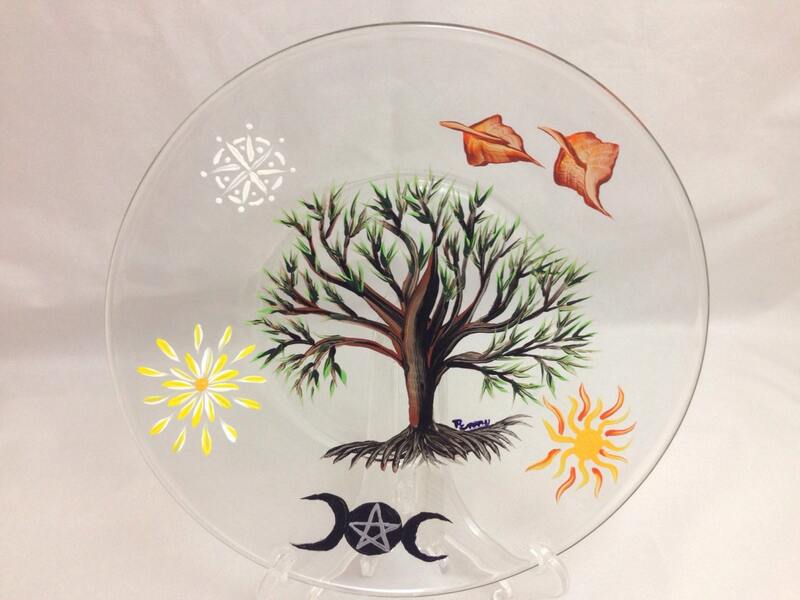 It is painted with Acrylic Enamel paint. 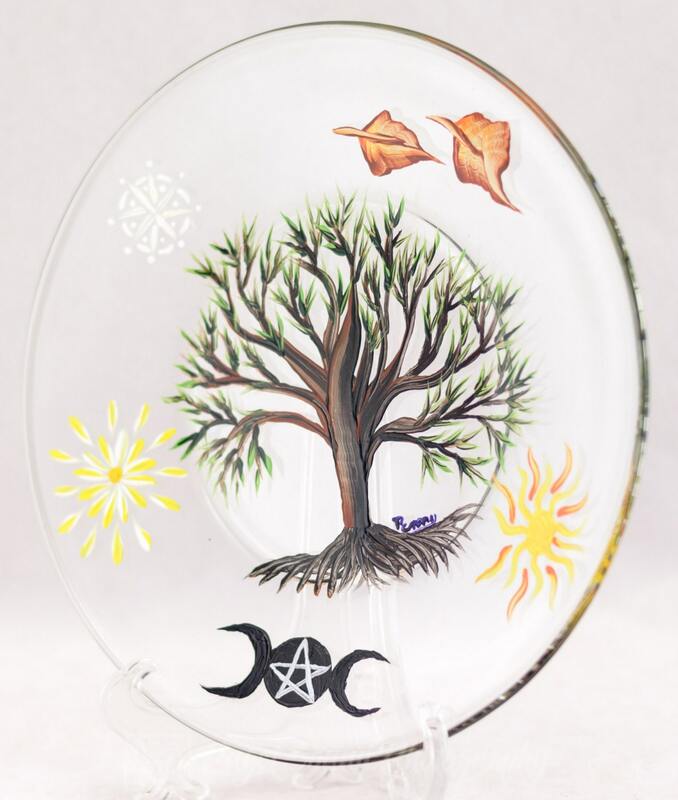 All of items are signed by American Artist Penny Russell. It is 100% hand-painted using quality acrylic enamel paints and are cured resulting in a scratch-resistant, high-gloss finish. It is recommended to hand wash only to preserve heirloom quality.